Jan. 13: Lucia Cadotsch, Otis Sandsjö & Petter Eldh + Jagged Spheres – Sound It Out! With a sharp-eared love of the past but a sensibility resolutely of the present, new-era jazz singer Lucia Cadotsch’s trio “Speak Low” – featuring tenor saxophonist Otis Sandsjö and double-bassist Petter Eldh – reanimates songs long seemingly set in amber. Hailing from their adopted home of Berlin, these three musicians come at the Great American Songbook from an angle, their “retro-futurist” sound as informed by remix culture and free jazz as by their appreciation for classic vocal records. Reviewing the group’s eponymous debut album of 2016, Speak Low (Yellow Bird/Enja), The Guardian declared: “Remember the name Lucia Cadotsch – you’re going to be hearing a lot of it.” Lucia, Otis & Petter will perform a special early-evening set at Greenwich House, at 6:30pm, with pianist Elias Stemeseder sitting in for a couple of tunes. Then Elias will join the potent trio Jagged Sphere – also including saxophonist Anna Webber & drummer Devin Gray, both Sound It Out favorites – to play the night’s second set, at 8:00pm. That Guardian review of Speak Low continued: “Cadotsch is a young, Zurich-born vocalist who possesses a classical clarity, a folk singer’s simplicity and an appetite for performing very famous songs (‘Moon River,’ ‘Don’t Explain,’ ‘Strange Fruit’) in the company of two edgy free-jazz instrumentalists, who flank her sedate progress with split-note sax sounds and spiky basslines with percussive strumming. 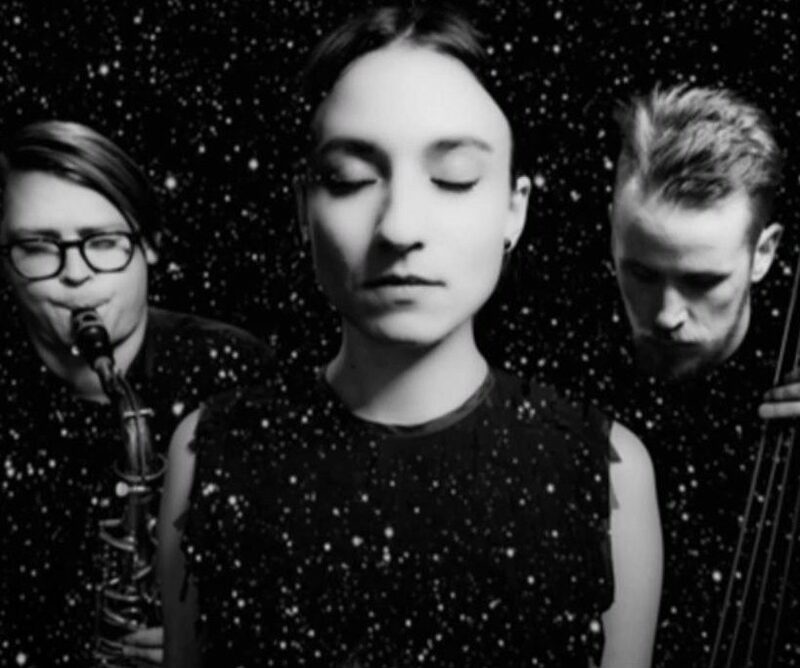 In this compelling trio’s hands, the process is remarkably melodious and illuminating… It’s all eerily beautiful.” Lucia won the 2017 Echo Jazz Prize – the German equivalent of a Grammy Award – for Best Vocalist of the Year for Speak Low. She and her Swedish friends Otis and Petter bring the bittersweet repertoire of Billie Holiday, Nina Simone, Abbey Lincoln and Dinah Washington vividly alive for a new generation of listeners, as well as for veteran music lovers in search of fresh treatments of these timeless songs. Lucia Cadotch’s performance is supported by Pro Helvetia, Swiss Music Export and by Initiative Musik gGmbH with project funds from the Federal Government Commissioner for Culture and the Media.